This entry was posted in inspirational, quote-inspired, quotes and tagged anything left, business, change, inspirational, inspire, pretty, pretty picture, quote, reflection, zen on December 14, 2018 by lilo. Sometimes when I photograph my work I see it differently. Mainly it helps me to see “mistakes” that I hadn’t seen with the naked eye. For example, in the following pictures I noticed that her forehead seems too flat and the arms seem not quite proportional. Have you noticed it too, that photos help you to see your art differently? This entry was posted in inspirational, quote-inspired, quotes, sculpture and tagged art, change, fine art, flow, Heraclitus, inspirational, inspire, practice, quote, sculpture, zen on December 3, 2018 by lilo. This entry was posted in inspirational, quotes and tagged art and fear, create, habits, inspirational, inspire, intent, practice, quote on May 19, 2013 by lilo. There is no passion to be found in settling for a life less than the one you are capable of living. This entry was posted in inspirational, quotes and tagged create, doubt, inspirational, inspire, intent, quote, zen on January 9, 2013 by lilo. This entry was posted in inspirational, quotes and tagged art, art and fear, create, doubt, fine art, inspirational, inspire, practice, quote, zen on June 24, 2012 by lilo. Geoff Flack, one of the instructors at Gage, recommended it. 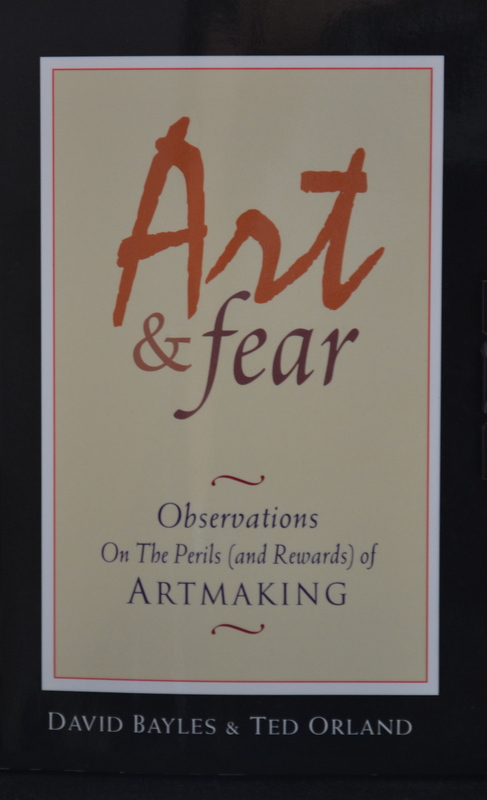 If you (like pretty much any other artist) ever wondered about yourself as an artist and/or your work – be it writing, music or painting, you name it – you have to read this book. I did, it’s fantastic. In fact I just started reading it for a second time. It’s a quick read (122 pages) and every word is worth reading and thinking about. This entry was posted in books, inspirational and tagged art, art and fear, art instruction, books, create, doubt, fine art, Gage Academy, inspirational, inspire, quote on June 17, 2012 by lilo. My watercolor instructor says if the painting shows “everything” and does not leave room for the viewer to “finish” it it’s a boring painting – to say the least – or may be even a bad one. The Braque quote reminded me of that. Have a great sunny weekend! This entry was posted in quote-inspired, quotes and tagged art, fine art, inspirational, inspire, quote, watercolor, zen on May 26, 2012 by lilo.